Imagine you arriving to this massage and thinking, "Wow, I made the right choice." It starts with a reliable, experienced professional, who is strong, powerful and respected in the community. You take a step back because you did not anticipate I'd be so TALL and WIDE at the shoulders, but you like it very much. Feel how you are stretched and rolled around with ease and comfort. My massive arms can pick you up and cradle you without almost any effort. DEEP-TISSUE, SWEDISH and OTHER massage options available. Get the convenience and flexibility for your visit. Discretion and direction honest communication are part of the amazing experience. When you leave, you will feel, "Wow, that was amazing. I want to do it again." Now give me a call. When you say successful, what would it look like to you? TO me, it looks like many returning visitors who trust me to take care of them, have a laugh and a story, and still create the relaxing, restorative experience they are looking for the way a man can who understands other men. 7000+ hours in practice, a loyal community, and name and face recognition wherever I go in the world is a rewarding reminder of the success that the community has created with me. It's about our partnership being successful, not just the applicant. Traveling is a wonderful way to meet visitors in other cities who enjoy what I provide. One week a month is what I aim for outside of New York. San Francisco, Los Angeles and Boston are my favorite places to visit. More will be coming as I see new and interesting events. When I'm home, I stay home to sleep and enjoy the wonderful outdoors. What would make you choose me over anyone else you mean? If you want strong, you get one of the strongest. If you want massive, and all the nurturing and confidence that comes with size, you get the right match. If you want experience, you have someone with 7000+ hours and many reviews to support the good choice you make. Mostly, you get one of the best total combinations of service and creativity that stands apart from the rest. 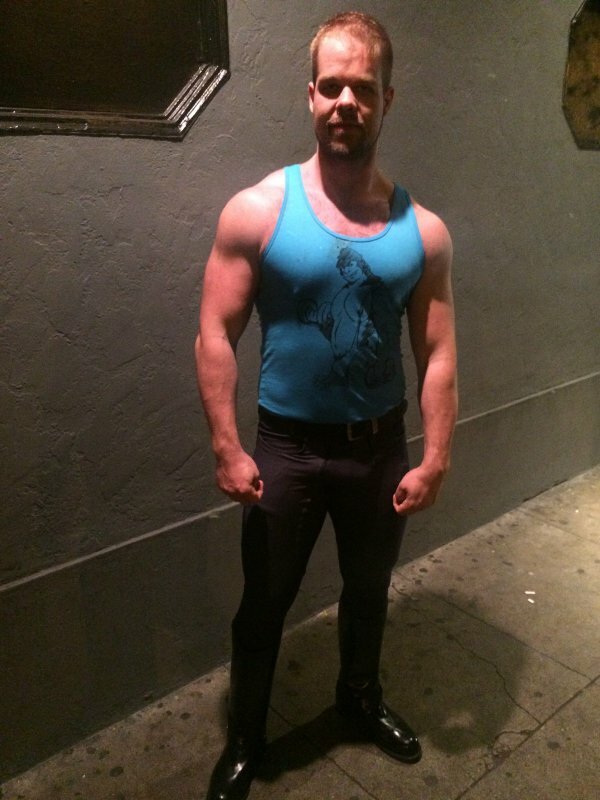 With RentMasseur Trusted Massage Reviews™ you can submit a review about BryanKnight or read his reviews by other Clients that have already met him. To ensure and maintain the integrity of RentMasseur Reviews we verify the reviews by communicating with both the Clients and the Masseurs in order to provide you with the most accurate, verified reviews. Have you met BryanKnight already? We’d love you to write about your experience with him so that other RentMasseur Client Members and site visitors can gain perspective from your experience and have a better idea if BryanKnight is a good fit for them. Talk about an amazing massage. What made it so amazing? Bryan has the ability to make others feel comfortable in a thoughtful genuine way. With his natural hunk and charm stature he could easily be arrogant but he is far far from that. Bryan provides a wonderful atmosphere, got out knots I did not know I had, and will be elated for weeks to come. I highly recommend the best masseur I have ever had the privilege to meet. Wonderfully inviting and easy going man. It had been a long while since my last massage and he worked his magic. He knows what he’s doing. He’s friendly and interesting to talk to as well. My first of many sessions with him - I’ll be going back. 7000 hours in practice serving the massage needs of men in New York, San Francisco, Los Angeles and Boston. Massive, Strong, Professional, and Ready to Make the Experience you want the Perfect Massage Experience. Call me for some of the best male for male massage for men you can experience! Here for the week, don'tmiss out! Call me for a good time. I'm 315lbs and still growing! You can add BryanKnight to your Wishlist. Have you met BryanKnight? Tell us about it. In order to submit a review about BryanKnight please Login or Signup as a client. Is BryanKnight a personal favorite of yours? Well then make his day and show him your appreciation by sending him a gift of one month, two months or one year of his RentMasseur Membership!